Spray now to prevent odor later! 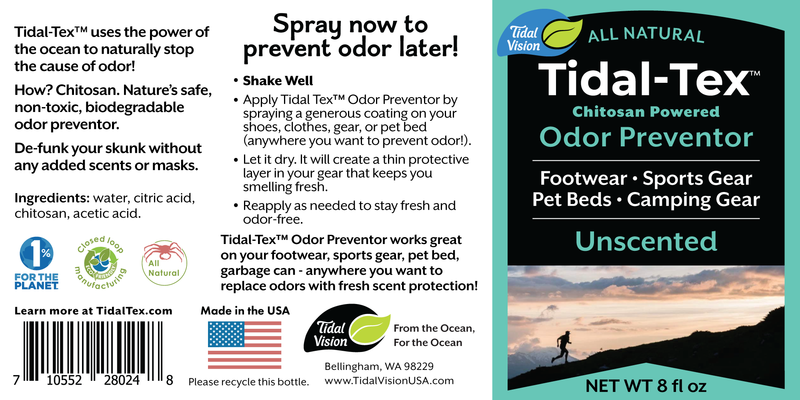 Tidal-Tex™ uses the power of the ocean to naturally prevent the cause of odor! How? Chitosan. Which is not only naturally and stops and inhibits the cause of odor, but is also nontoxic, biodegradable and safe. 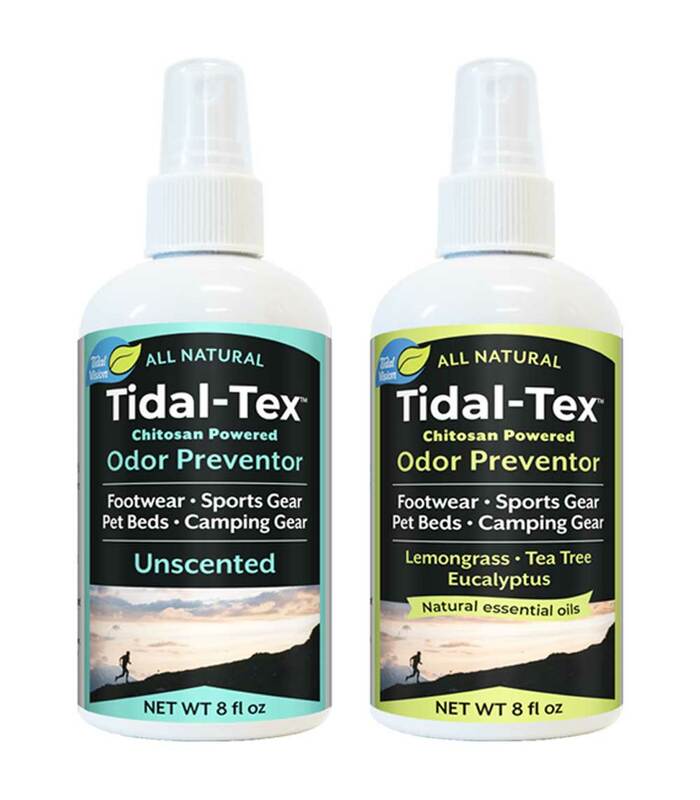 Would you like to carry Tidal-Tex™ Odor Preventer in your stores? © 2018 - Tidal Vision Inc. - All Rights Reserved.